Modern design that coexists and blends with the original Art Deco. 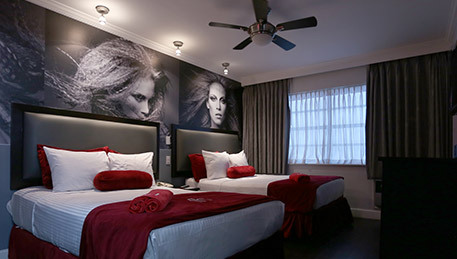 What really distinguishes Fashion Boutique from other hotels, though, is that each room is unique and identified with a figure from the fashion world in each of its adaptations, as reflected in the images that define the style of each room. The hotel has 48 suites with different designs and interiors, each built and furnished so that every guest may find the ideal environment for their stay. 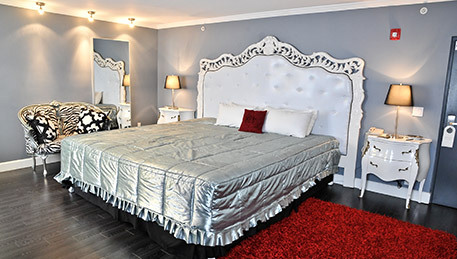 LCD screens, audio system, internet, mini-bar, security and personalized service are just some of the services offered by Fashion Boutique Hotel. Our wide range of guests need only be concerned about their rest, relaxation and having a good time. 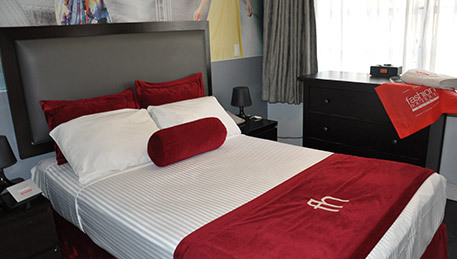 All of our suites are accommodated with superior beds which make for a truly restful experience.